For many years ergometers and home exercise bikes were the most common type of endurance machine; even today they are still prevalent. With these machines you can have cycling training sessions in the comfort of your own home. You can run through your cardio exercises on a home exercise bike or ergometer no matter what the weather looks like outside and no matter what time of day it is. This added flexibility increases the likelihood that you will regularly do your exercises on an ergometer or home exercise bike. Ergometer and home exercise bikes work the lower extremities in particular; the stress on your knees and hips is significantly lower than when jogging on the street. 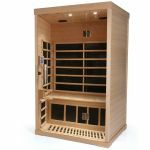 Up to 500 calories are burned per hour at an average level of difficulty. 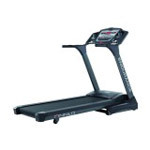 Ergometers and home exercise bikes are also ideal machines in terms of losing weight and burning fat. Do you just want to move? Then a home exercise bike with manual resistance adjustment and index gears is all you need. A permanent magnet brake system ensures your safety. The computer displays the most important exercise information such as time, distance, and revolutions per minute. However, we recommend buying an ergometer if you want to stay fit and regularly exercise in a way that focuses on your health. 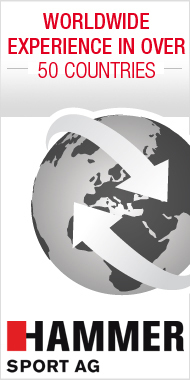 Ergometers are known for very precise strain regulation and high display precision. The pedal power on ergometers is indicated in watt in accordance with DIN EN 957-1/5 HA. In contrast to simple home exercise bikes, ergometers are also suitable for therapeutic exercise. Ergometers are equipped with eddy-current brakes. Only the actual watt pedal power is displayed on so-called speed-dependent ergometers. Wattage can be used for ergometers that are not speed-dependent. Resistance is automatically reduced when you pedal faster on your ergometer and automatically increased when you pedal slower. This means you can always exercise using the same amount of pedal power. Often a physical therapist or a doctor will give patients a specific watt value they should stick to when exercising on an ergometer. In this case, a non-speed-dependent ergometer is a better choice than a home exercise bike. 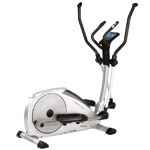 Home exercise bike / ergometer or elliptical trainer? The answer to this question depends on your taste and your movement preferences. The most important thing is that you regularly do your fitness exercises on your home exercise vike or ergometer. This means you should choose the machine that feels the most comfortable. Do you prefer to exercise while sitting, i.e. on an ergometer or home exercise bike, or do you prefer the dynamic movement of the elliptical trainer? Both types of fitness machine - that is, ergometers or home exercise bikes and elliptical trainers - get you fit and keep you healthy. We recommend the ergometer to patients with cardiovascular issues because exercising while sitting is easier and the patient can exercise in a more relaxed fashion. Start your cardio exercises on the ergometer or home exercise bike with low intensity so your body can get used to the strain of exercising. This warm-up should take approximately five minutes; after that you can increase the intensity. If you have a specific target heart rate or were given one by your doctor, increase the strain until you reach the heart rate threshold. We recommend beginners start exercising two or three day per week for 20 to 30 minutes. Bit by bit beginners can increase the frequency of training and the scope and intensity of the cardio workout. Exercising with the ergometer or home exercise bike is a versatile experience. High-quality home exercise bikes or ergometers offer various exercise programs that cater to every taste. For example, you can choose between mountain and valley profiles and individual heart rate programs. 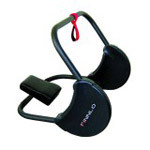 You can easily check your heart rate during your cardio workout using the ear clip. The top ergometers have an integrated polar-compatible chest strap receiver, which means you can also measure your heart rate via a chest strap. You can get a professional exercise plan for your home exercise bike or ergometer at www.der-trainingsplan.de. Your personal fitness goal is taken into consideration, as is your current fitness level, your fitness equipment, and your current knowledge of the science of exercising. We want to help you achieve your fitness goals safely, quickly, and successfully. 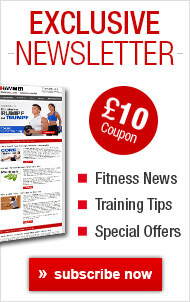 HAMMER.de - your reliable fitness partner! Are you a beginner who wants to start exercising? 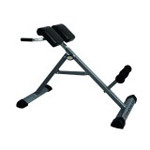 The ergometer HAMMER Ergometer Cardio XT5 might interest you. 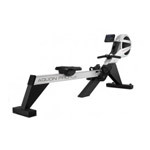 This ergometer uses 260 watt and lets you exercise in a way that focuses on your health. Once you have reached your specified maximum heart rate, the machine will automatically adjust pedal resistance if your heart rate goes above or below your maximum heart rate. 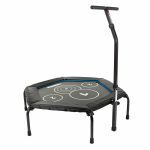 Ideal for exercising with a focus on fitness and health. Once you finish your workout on the ergometer the computer will automatically calculate a fitness grade that shows your current level of fitness. The HAMMER Cardio Ergometer XTR comes with a clear computer display and features such as horizontal seat adjustment, comfortable handgrips, transport rollers, and much more. 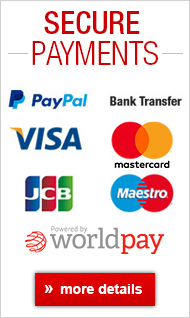 Do you want your first purchase to be an inexpensive one? 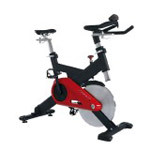 Then the ergometer HAMMER Exercise Bike Cardio T2 might be the right machine for you. The ergometer sets itself above the competition with automatic fitness programs, resistance settings directly on the computer, and 6 kg centrifugal mass. 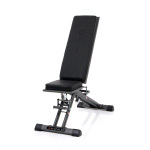 For advanced individuals our recommendation is the ergometer FINNLO Exum. This non-speed-dependent ergometer received an overall grade of 2.0 from Stiftung Warentest and is one of the best ergometers on the market. Stiftung Warentest certifies that the FINNLO Exum ergometer exhibits high quality, user-friendly operability, and comfortable smoothness.FINNLO Varon XTR, an ergometer with a sensational price/performance ratio! Are you looking for a variety of programs on an ergometer with mountain and valley profiles and non-speed-dependent, watt-controlled exercise options? The right machine for your needs: one with a low and comfortable start, 8 kg centrifugal force, and a large computer display. In terms of quality, home exercise bikes and ergometers have many decisive design details. Here are some things you should be aware of when you buy your home exercise bike or ergometer. 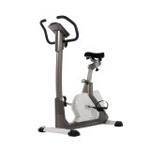 Home exercise bikes are equipped with permanent magnet brake systems. You should not hear any loud noises while pedalling. Your pedalling should feel smooth and round. You can adjust resistance in even steps. Most home exercise bike models have 8-10 steps available. The resistance on ergometers is generated via an eddy-current brake (induction brake system). An electrical coil induces a magnetic stress field. The more stress generated, the greater the magnetic force and the greater the resistance of the ergometer. DIN standard EN 957-1/5 HA specifies that the value displayed on the ergometer computer may not differ more than +/- 5% of the pedal power actually generated (in watt). In terms of the quality of the rotation and smoothness of an ergometer or home exercise bike, an ergometer's eddy-current brake generally has clear advantages compared to the permanent magnet brake system. The fine-tuning of the resistance and the precision of the data justify the somewhat higher price of an ergometer compared to a home exercise bike. FINNLO by HAMMER and HAMMER ergometers set themselves apart from the competition because only the highest quality brake system components are used. We pay special attention to the precision of our ergometers' data during product development and the production process. In addition to the brake system, the centrifugal mass is the most important factor in determining the rotation of an ergometer or home exercise bike. The higher the centrifugal mass of an ergometer or home exercise bike, the better, smoother, and more even the rotation. 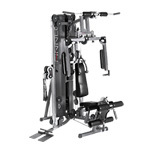 You need a centrifugal mass of at least 6kg for beginner machines and at least 10kg for ambitious fitness training. It's better to invest a little more money in your ergometer or home exercise bike so that you can continually increase the level of fun you have while exercising with your new cardio machine. 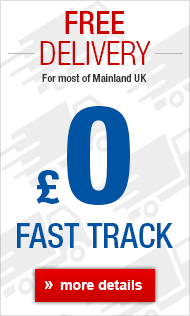 Many manufacturers try to score points with the number of programs on their home exercise bikes and ergometers. But often enough, less is more. The question is: how many different programs do you need? How many programs will you actually use during your daily ergometer or home exercise bike training sessions? The important thing is the clarity of the display and the simplicity of operation; this should always be in the foreground. FINNLO by HAMMER and HAMMER fitness computers for home exercise bikes and ergometers combine both benefits: program diversity and simplicity of operation. The automatic fitness programs (mountain and valley profiles) on FINNLO by HAMMER and HAMMER ergometers and home exercise bikes are very different in terms of how their profiles progress. This is particularly important if you really want varied training sessions. Many standard products on the market are distinguished more by the number of their profiles rather than by the quality of their profiles. Look for a large and clear computer display. A background light is also beneficial, especially if you want to exercise on your ergometer or home exercise bike in the darker seasons or in the basement. This is the most important argument in favour of buying an ergometer. Professional heart rate measurement is an absolute must for cardiovascular training or targeted endurance training; the ergometer's resistance is regulated using your individual maximum heart rate. The heart rate program is responsible for consistently keeping you in an optimal heart rate range while you exercise. Your ergometer's system automatically reduces pedal resistance if your heart rate goes up and reaches the threshold of your maximum heart rate. This means that you always exercise with the heart rate frequency that is right for you. The hand heart rate sensors or ear clips on an ergometer only serve as a reference point for your heart rate frequency. You can only get precise heart rate measurements when you use a chest strap. The data are sent wirelessly from the chest strap to the computer on your home exercise bike or ergometer. A comfortable seat is truly advantageous when exercising on a home exercise bike or ergometer for longer periods of time. It shouldn't be too wide in the front, as this may cause chafing on the inner side of the thigh. Seats made out of gel are particularly comfortable and are primarily seen on higher quality ergometers and home exercise bikes. FINNLO by HAMMER ergometers are equipped with gel seats. Correct adjustment of the handlebar is also important when trying to find a good sitting position, making an adjustable handlebar an indispensable part of ergometers and home exercise bikes. 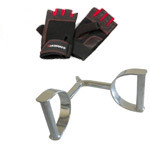 Comfortable foam materials on the ergometer or home exercise bike handlebars make exercising particularly enjoyable. Are you not sure if you should choose a home exercise bike or an ergometer? 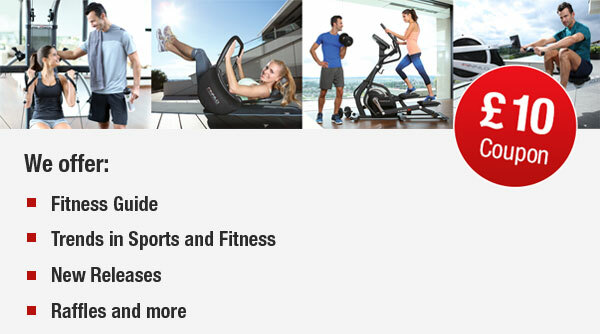 Would you like to know which fitness machine is best for you? 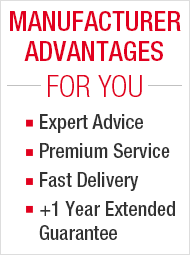 Call our expert telephone line and will recommend the most suitable ergometer or home exercise bike. 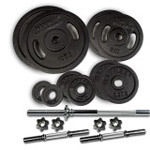 Our service team is comprised of state-certified fitness trainers and experienced product advisors. 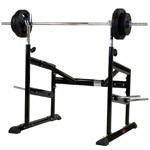 We at HAMMER SPORT love fitness and know what we are talking about. Fitness, exercise and nutrition - we possess a lot of knowledge and are happy to help. Of course, this holds true even after you have purchased your ergometer or home exercise bike. We look forward to your call and are sure we can find the best ergometer or home exercise bike for you. Take one step closer to your fitness goals today—your body will thank you and pay you back with increased quality of life.